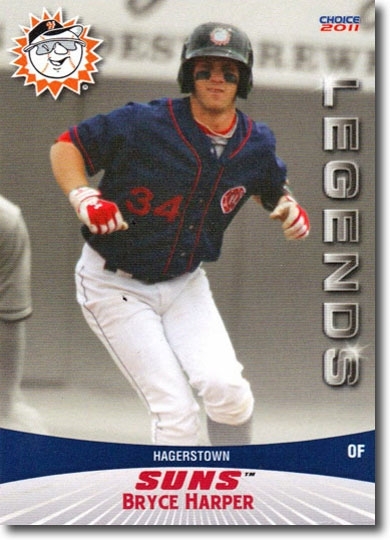 You are bidding on a BRYCE HARPER 2011 Pro Debut Hagerstown Suns Legends Rare Rookie #06 NATIONALS. Please see the scan of what you are buying, and email us with any questions before buying! Thanks for looking, and good luck!